For that special occasion to celebrate an achievement or an event. Gift Card can be added at extra cost, please call to place order. 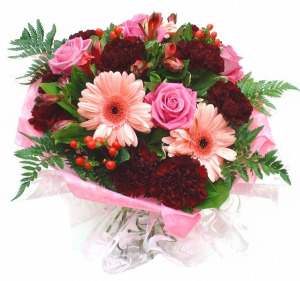 Hand tied mixed flower bouquet to celebrate that special achievement. Please indicate preference of colour palette in added information. Are you looking to send your favorite grad flowers for graduation? Why not send the class flower, or a dozen roses to show your pride? Giving flowers to honor someone's hard work is a long-standing tradition. FLOWERS BY ROSITA can help you choose the perfect arrangement for any deserving student, just give us a call, shop online or stop by the store in Port Stanley.